Ominous rumblings rumbled this morning, as The Verge reported that Best Buy had yanked all of its supply of the HP Chromebook 11 from store shelves and stored them in secure warehouse locations, "effective immediately." The laptop disappeared from Amazon's online shelves, too, as well as from HP and Google's own web stores. Something was afoot, and we now know what that something is: The micro-USB charger that shipped with the HP Chromebook 11 is faulty, and some have been damaged after over-heating during use. That defect's a whole lot worse than Dell's cat-pee fiasco, and definitely puts a damper on HP's first year in as part of the ChromeOS family. 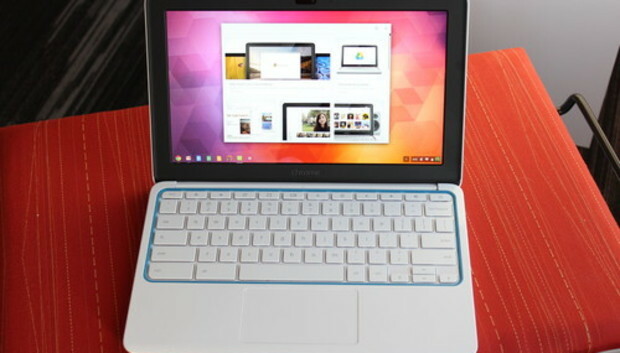 HP's other Chromebook, the aptly named HP Chromebook 14, is still being sold.